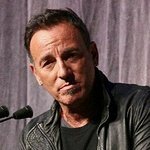 The sold-out MusiCares Person of the Year gala honoring Bruce Springsteen will take place Feb. 8, two days prior to the 55th Annual GRAMMY Awards. The event will be at the Los Angeles Convention Center in downtown Los Angeles. Check-in will open at 5:30 p.m. as well as a cocktail reception and silent auction. To preview some of the auction items, click here. Dinner will follow at 7:30 p.m. and the concert will begin at 9 p.m.
Alabama Shakes, Zac Brown Band, Jackson Browne, Ken Casey, Kenny Chesney, Ben Harper, Emmylou Harris, Faith Hill, Jim James, Elton John, Juanes, John Legend, Natalie Maines, Tim McGraw, Tom Morello, Mumford & Sons, Patti Smith, Mavis Staples, Sting, Eddie Vedder, and Neil Young will perform at the tribute concert in honor of Springsteen. Hosted by Jon Stewart, attendees will include Neil Portnow, President/CEO of The Recording Academy and MusiCares; Scott Pascucci, MusiCares Foundation Board Chair; and Paul Caine, MusiCares Board Chair Emeritus. In addition, a host of celebrities, along with prominent music industry and entertainment executives, are scheduled to attend. Rob Mathes will be the evening’s musical director. The MusiCares Person of the Year tribute is one of the most prestigious events held during GRAMMY Week. Proceeds from the annual Person of the Year tribute — now in its 23rd year — provide essential support for MusiCares, which ensures that music people have a place to turn in times of financial, medical and personal need. 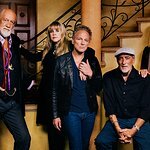 Past MusiCares Person of the Year honorees are Tony Bennett, Bono, Natalie Cole, Phil Collins, David Crosby, Neil Diamond, Gloria Estefan, Aretha Franklin, Don Henley, Billy Joel, Elton John, Quincy Jones, Paul McCartney, Luciano Pavarotti, Bonnie Raitt, Paul Simon, Sting, Barbra Streisand, James Taylor, Brian Wilson, Stevie Wonder and Neil Young. GRAMMY Week culminates with Music’s Biggest Night, the 55th Annual GRAMMY Awards, which will take place live on Sunday, Feb. 10 at Staples Center in Los Angeles and will be broadcast live on the CBS Television Network from 8–11:30 p.m. ET/PT.